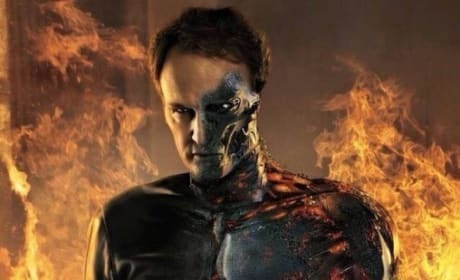 Arnold Schwarzenegger stars in Terminator: Genisys. 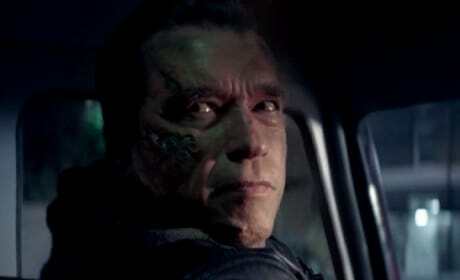 Schwarzenegger is back as The Terminator. 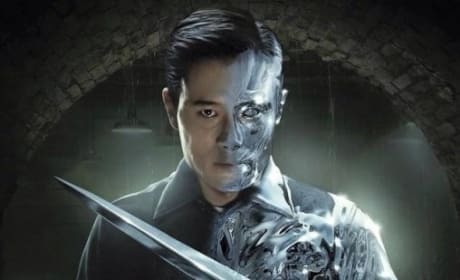 The Terminator Genisys T-3000 Character Poster. That's Jason Clarke in the role. The Emilia Clarke character poster for Terminator: Genisys. Clarke is Sarah Connor. The movie poster for Terminator: Genisys. 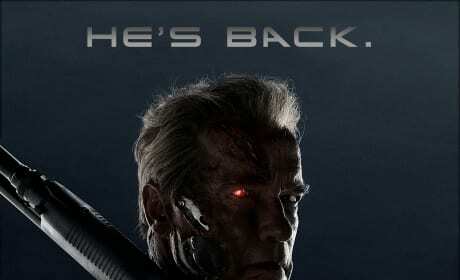 Arnold Schwarzenegger is back as The Terminator! 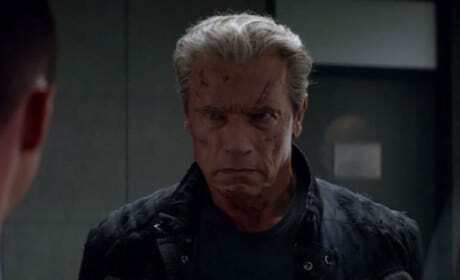 A photo of Arnold Schwarzenegger in Terminator Genisys. 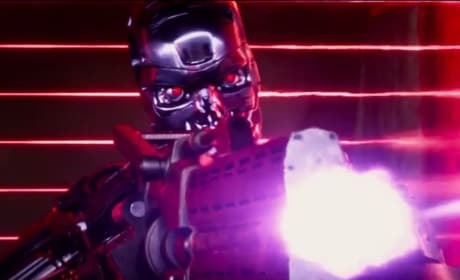 Schwarzenegger is back as The Terminator. 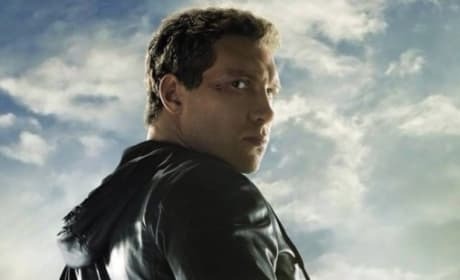 A photo of Arnold Schwarzenegger from Terminator: Genisys. 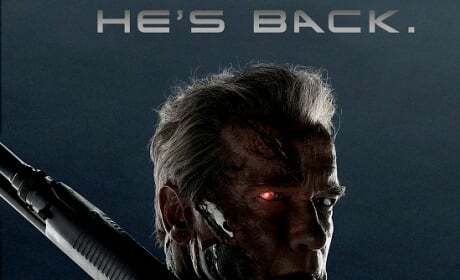 Schwarzenegger is back as the Terminator. 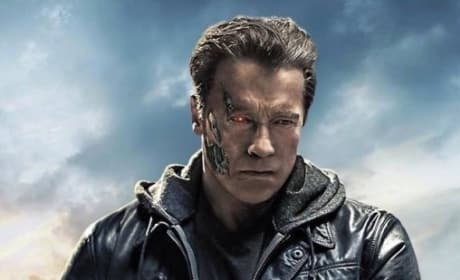 The Arnold Schwarzenegger poster for Terminator: Genisys. As it says, "he's back!" 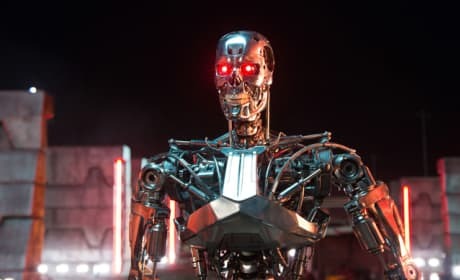 A photo of one of the Terminators from Terminator: Genisys. Arnold Schwarzenegger is back. 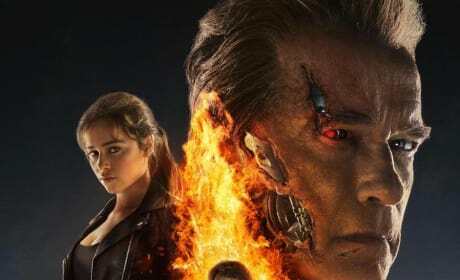 A still from Terminator: Genisys shows off the Terminators as imagined by director Alan Taylor. Arnold Schwarzenegger is back.